to perpetuate itself as a fraternal organization, and to provide for its government, the Benevolent and Protective Order of Elks of the United States of America will serve the people and communities through benevolent programs, demonstrating that Elks Care and Elks Share. 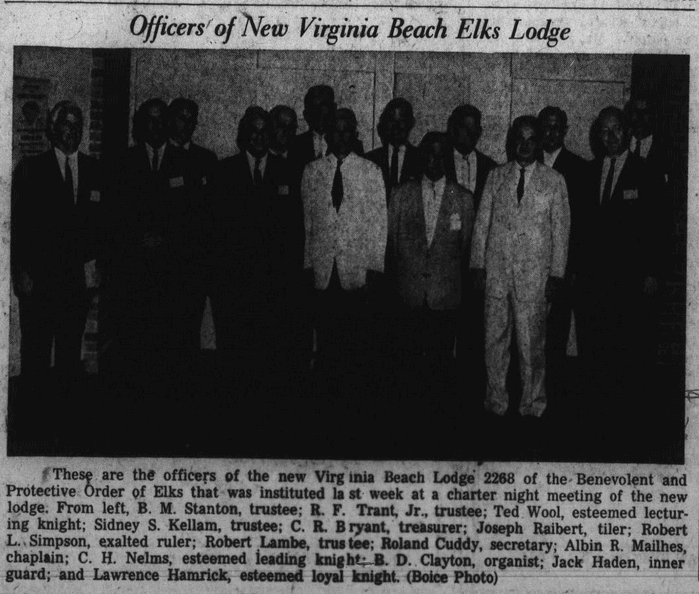 Instituted 9 August 1962 in a ceremony at the Alan B Sheppard Convention Center “The Dome”, reception held at the Cavalier Hotel, a record 241 Virginia Beach Citizens were initiated into the new lodge that day. 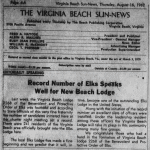 Officially Chartered 26 October 1962 in the city of Virginia Beach with meetings regularly held at the Cavalier Hotel. Acquired the Shoreham Hotel, March 1963, 1805 Atlantic Avenue, for $45,000 and established our formal lodge facility on the Ocean Front. Circa 1967, Beach Front Improvements required lodge to acquire an existing commercial property at 1281 Laskin Road for a new lodge facility. 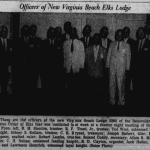 1968 Lodge Trustees establish a budget which ensures that over half of all proceeds go to Virginia Beach charities. 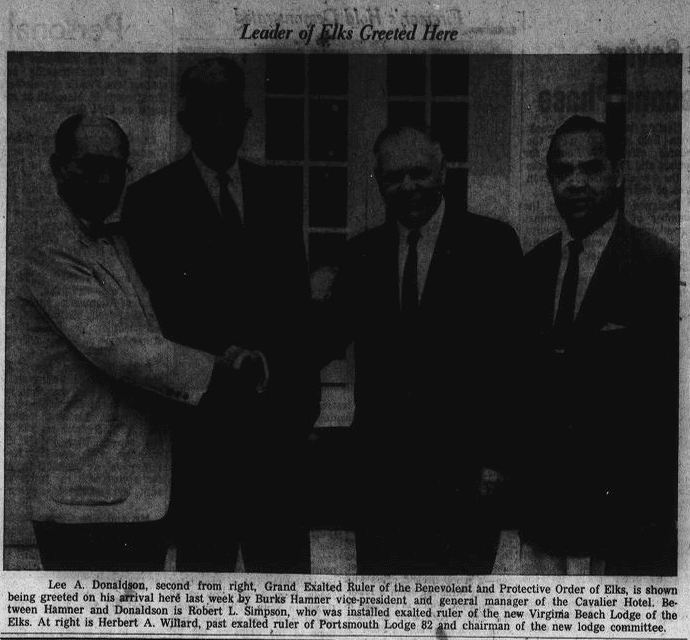 Again in 1970, city improvements and financial issues forced lodge to sell property and lease facilities at 3255 Virginia Beach Blvd. 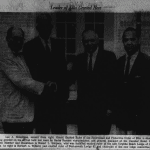 August 1971 awards it first scholarship to a Virginia Beach High School student. In 1984, Virginia Beach Blvd widening efforts dictated the lodge once again be relocated to its current leased facility at 113 S First Colonial Rd # 134, Virginia Beach, VA. In 1998, the Lodge receives an inheritance which rejuvenates the membership to once again pursue a permanent facility in Virginia Beach; they use those funds to establish an aggressive investment growth plan with Morgan Stanley. 1999, Lodge establishes a restricted Charities account with the focus on giving back to local charities, annual contributions estimated at $15,000. Notable contributions include donating bicycles to support the Virginia Beach Police Department transition to bicycles for oceanfront patrols, Alcohol and Drug Free Grad Parties for Virginia Beach High Schools, the Vets House, the Dictionary Project and grammar school weekly reader programs, sending needy children to summer camp, and providing disaster relief and financial assistance to displaced/homeless citizens. The 2000 thru 2002 stock market crash wipes out over 50% of the lodge’s building fund, but the lodge continued to focus on helping others by giving over $19,000 in donations to local charities in those same years. In 2010, the lodge trustees established a goal to acquire a new facility by 2012 and focus efforts on growing the building funds back to pre-2000 levels. 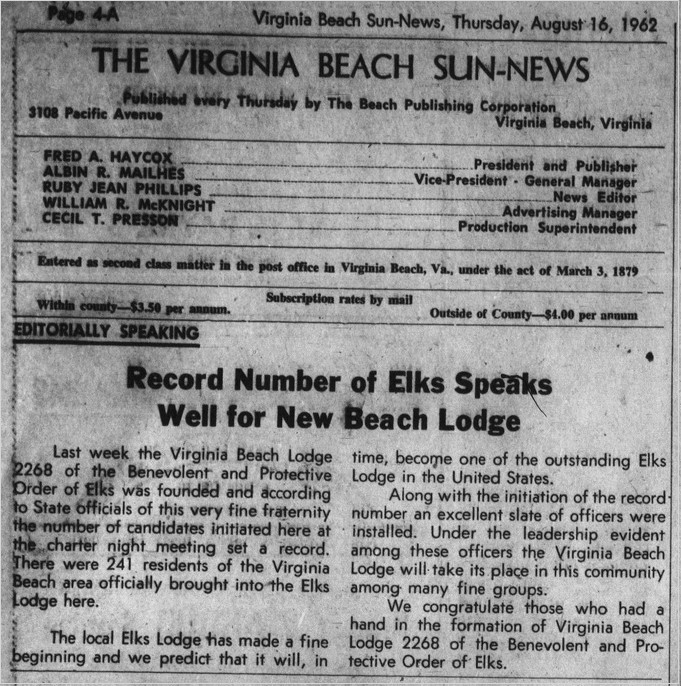 In 2014, the building fund continues to grow and while the availability of affordable property seems to be slightly out of reach, that isn’t stopping us, we already have the ground breaking shovel and are eagerly evaluating available property to re-establish a permanent home for Elks Lodge, BPOE #2268 in Virginia Beach by 2015.